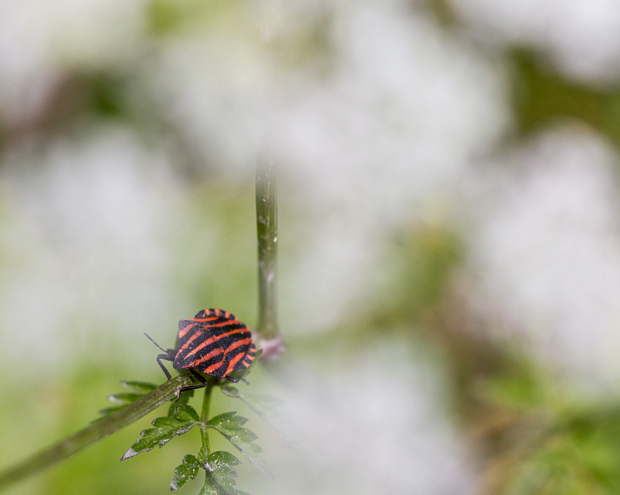 Meet Graphosoma lineatum. A species of shield bug (in Swedish - "strimlus") that lives on the juice, fruit and seeds of plants such as Cow Parsley (Anthriscus sylvestris - "hundkäx" in Swedish). 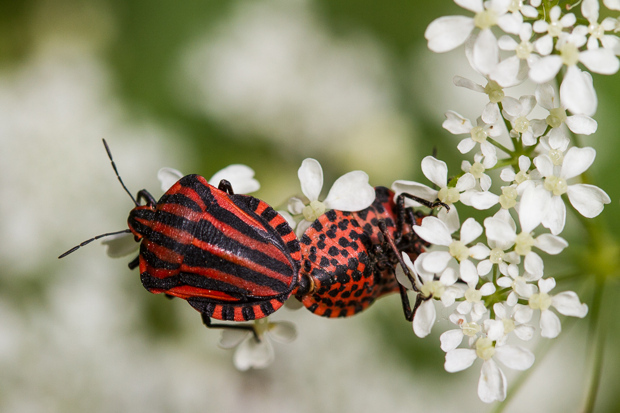 In sunny weather they can be seen in abundance on the Cow Parsley flowers feeding, mating or both. G. lineatum is the landscape insect of the Swedish county of Södermanland. These particular specimens were indeed photographed in Södermanland, along the nature trail at Stora Vada. See global forest harvesting "IRL"